Finding the perfect balance between the décor in your home and drapery hardware can be difficult, especially when you’re trying to achieve the perfect look. Because most drapery medallions and other hardware materials have a distinctive style of their own, doing so can be more difficult than most people think. But, what if there was a type of drapery hardware that you can choose to be just as unique or neutral as the décor itself? There is – Ornate Iron Drapery Medallions. Iron drapery hardware is known for its ornamental carvings and design, making a statement regardless of where it’s located in your home. In fact, from elegant cutouts to details etched in the iron itself, the variety of options makes it simple for anyone to decorate no matter what qualities they’re looking for in their hardware. As you probably know, the mood of a room can be easily affected by the smallest details, from the centerpiece on a table to the paintings on the wall. 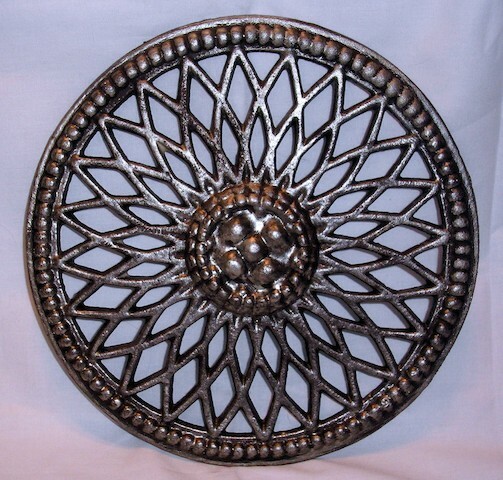 Thus, ornate drapery medallions will definitely have an impact in bringing the room together. Love is in the details! 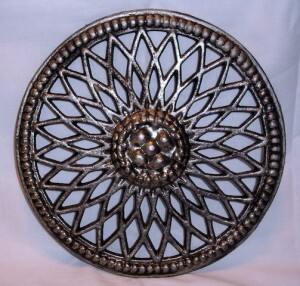 When you choose iron drapery medallions and other accessories they can be as traditional or ornate as you would like. In particular, ornamental iron designs can be extremely simple or elaborate, allowing you to customize your selection to fit right into the desired décor. Truly, the possibilities are endless! One of the best parts about iron drapery hardware is that once you find a finish that you like, you can mix and match your hardware to create new, innovative looks. This makes the combinations endless, as purchasing new drapery medallions can give your drapery a fresh appeal without having to spend a lot of money.